The first smartphone I ever used was the Samsung Galaxy S3. The design inspired by nature looked modern and fresh and helped make the smartphone something that naturally fits in your hand, instead of an awkward but functional brick. It is clear that times have changed. Samsung has repeated the shape of its smartphones in the next seven years, and I think it has reached a peak with the Samsung Galaxy S10, at least in the form factor that smartphones currently use. This is our Samsung Galaxy S10 Plus Review. 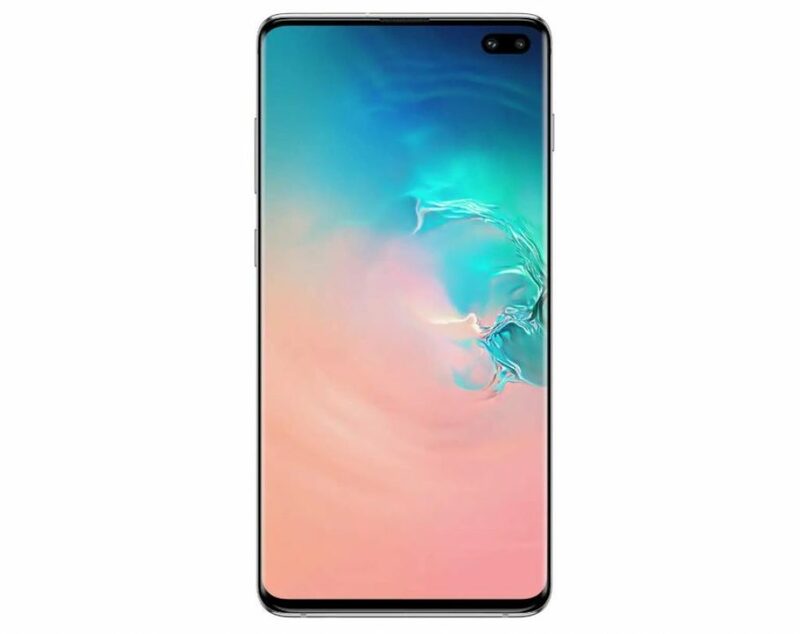 The Samsung Galaxy S10 is technically the third iteration since the company redefined the basic form of a regular smartphone. The Galaxy S8 focused on refining the screen to achieve the highest possible screen-to-body ratio and a transformed, modern smartphone design, while the Galaxy S9 felt like it was recreating things. 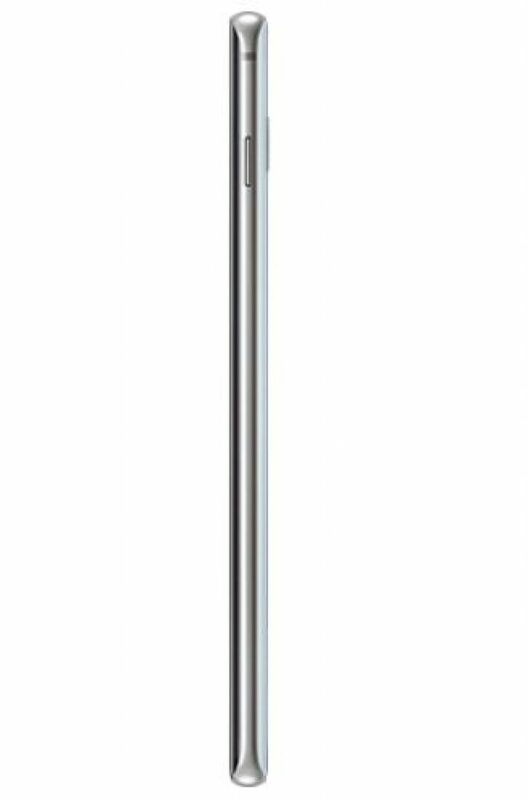 At that time, the round design of the Galaxy S series made the Galaxy Note line feel less relevant, with its striking boxier form factor. The Samsung Galaxy S10 feels different. The Galaxy S10 finally feels like Samsung decided it was good to merge the best of the S line with the Note line, with flatter sides and a less sharp curve at the edges of the glass. If you worry, this compromises the edge features introduced on the Galaxy S6 Edge, don’t be. It is still easy to swipe from the sides to activate them, and it is actually harder to do it by accident now. The curve on both sides of the phone clearly defines the Galaxy S series, but the updates make the phone more functional instead of simply making it beautiful. The bottom of the device is equipped with a USB-C port, a speaker grille and a headphone jack, something that Samsung has refused to remove. On the left side of the phone are volume motors and a special Bixby button, which the company has also refused to remove. Surprisingly, Samsung now lets you reassign the Bixby button to launch almost every app on your phone, a feature that the company has consistently blocked since the Samsung Galaxy S8 first introduced the button. I say almost every app because other virtual assistants are not allowed, making it clear that Samsung is still grabbing relevance in the AI wars. On the right side of the device is only the on/off button, which I think is placed too high. I assume that Samsung wanted to maintain the placement of the buttons in the same way, both on the Galaxy S10 and S10 Plus, which brought the button close to the top of the right side. But for such a phone, users are better suited for a button that is aligned with the Bixby button on the Z-axis. At the top, you will find a SIM card drawer with microSD extension and a microphone. In addition to the annual contraction of the edges on the front of the telephone, you will find a cut-out in the display for the front cameras. These cameras are placed in line with the notification icons so that the recess is usually a problem. If you view a lot of content in full screen on your device, you might find the sniping annoying, but I personally don’t mind. I prefer the notches that we have now almost all normalized. The standard Galaxy S10 has a smaller recess with only a single selfie camera, but the recess of the Galaxy S10 Plus is wider thanks to the dual camera design. The rear camera module is located on the rear of the device. 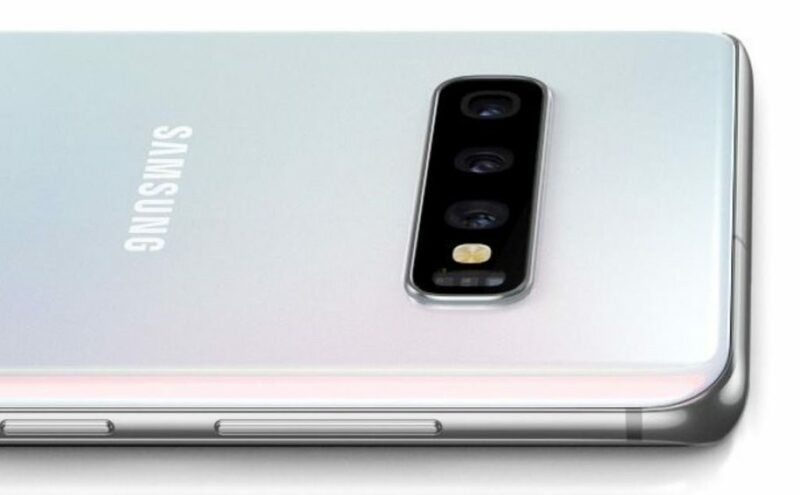 This year Samsung placed three cameras on the back of both the Galaxy S10 and the Galaxy S10 Plus, giving users a wide, standard and 2x telephoto lens (more on this in the camera section). If you want some cliff notes, I love the versatility, but the quality is disappointing. The Samsung Galaxy S10 and Galaxy S10 Plus come in a huge variety of colors, but we have the Prism White variant for review. This color varies depending on the angle between white, blue and pink and I think this is the best available color. The beautiful shine of the glass gives it a premium appearance and feel, and makes things possible such as wireless and vice versa wireless charging. In my opinion, this is the best designed and most functional Galaxy S phone so far. Before Samsung goes all-in on foldable, I cannot see that it is changing the shape of the Galaxy S line to any significant degree. The Samsung Galaxy S10 Plus has the best Samsung screen so far. This dynamic OLED panel has rich and vibrant colors, but the resolution and saturation are a bit removed from the package. The new panel changes the organic material of the OLED to achieve the same Color Volume 100% certification for high-quality Samsung TVs, while also reducing power consumption. The device is set to 2,280 x 1,080 to extend the battery life and comes as standard with the “natural” color setting, which is slightly more muted than the optional “lively” setting. Although other settings are available, these are the devices on which I tested the device, because the average consumer probably won’t bother changing them. The screen is pretty huge at 6.4 inches, but it doesn’t feel overwhelmingly large due to the minimal edges on the device. 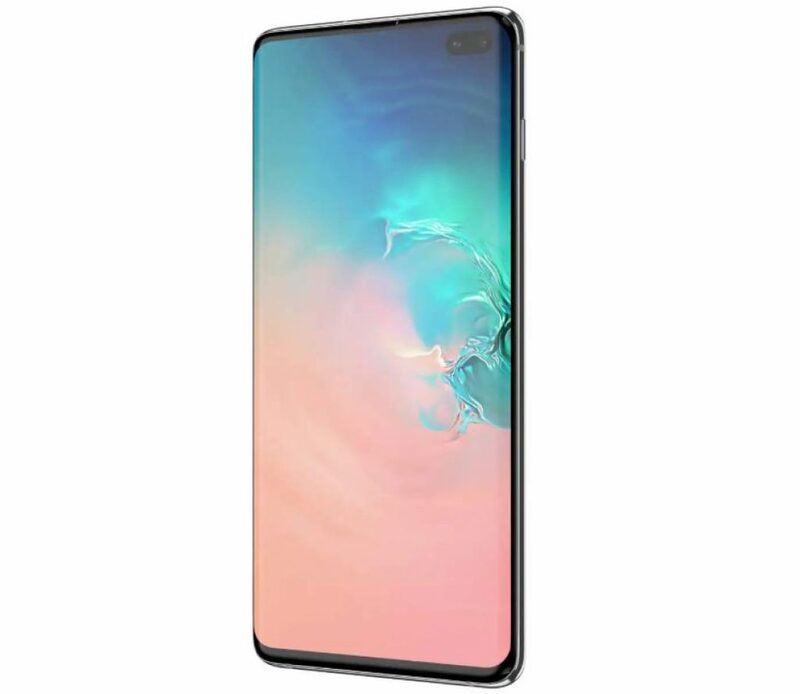 Although the Samsung Galaxy S9 already had fairly minimal bezels, the Galaxy S10 shrinks them even more, partly due to the hole in the Infinity-O in the upper right corner of the device. The perforation hole is aligned with the message icons on the display, so the part of the screen that you would normally focus on is not really blocked. It really only got in the way of watching content in immersive mode, and even then it didn’t bother me as much as a center notch. Samsung uses Qualcomm’s ultrasonic in-display fingerprint reader in this phone, making it the second device in the US to offer an in-display unlock option after the OnePlus 6T. Although the in-display fingerprint sensor of the OnePlus 6T used light, the Qualcomm ultrasonic sensor uses sound to read the edges of your fingerprint through the display. This means that it should work better with water, grease or other liquids because the light is not broken and it does. It also means that you cannot use most glass screen protectors. From a hardware perspective, the Samsung Galaxy S10 Plus is a clear flagship from 2019. It is one of the first with the latest and best Snapdragon 855 chipset from Qualcomm, it fluctuates 8 GB RAM (with options up to 12 GB) and storage starts at 128 GB with options up to a full terabyte. The battery is even larger than the Samsung Galaxy Note 9’s, which comes in at 4,100mAh. This device also has Wireless Powershare, a function that allows wireless charging. 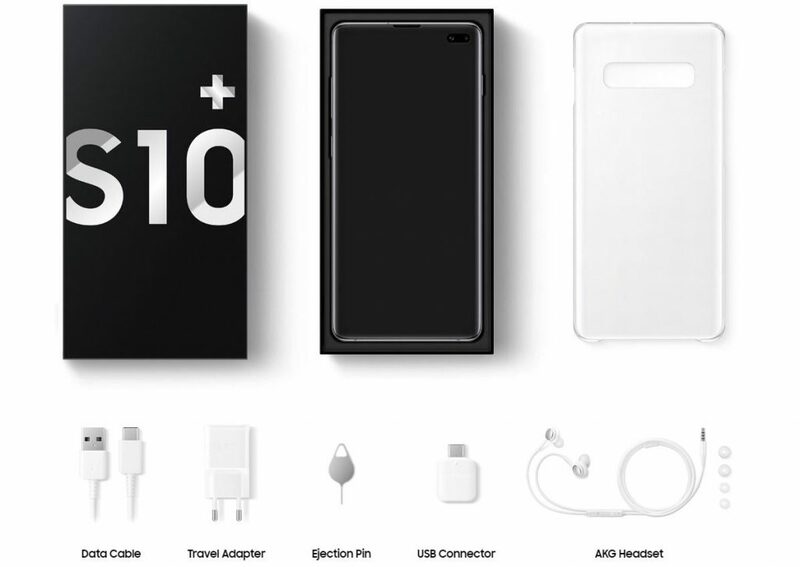 That means you can charge any other Qi device, whether it’s a phone or the Samsung Galaxy Buds that you may have picked up with the Galaxy S10. Samsung announced an almost complete overhaul of its software with One UI at the Samsung Developer Conference in November 2018, and the same user interface will be pre-loaded on all Galaxy S10 devices at the launch. Android 9 Pie is running on our device with One UI version 1.1 and the Android security patch from February 2019. Samsung did really well with One UI. The days of the bloated and slow TouchWiz are over, and although Samsung Experience has improved things considerably, One UI solves some of the biggest problems we face today with large devices. Many of the icons are larger by default and settings menus and Samsung apps are noticeably easier to navigate with one hand. One user interface also adds night mode to the entire user interface that Android users have wanted for years. Google is expected to add a native night mode in Android Q, but it is good to be one step ahead of Samsung. Animations are also smoother so that everything bounces a little. Although the software is great, it has always been pretty bad to keep the Samsung software up-to-date. The introduction of Project Treble in Android Pie was intended to make updates go out faster, but so far we have not seen a significant improvement over Samsung. If you are serious about consistent updates, you might want to wait and see how seriously Samsung takes software patches on the Galaxy S10. With Qualcomm’s latest Snapdragon 855 SoC and 8GB RAM, it’s hard to see that the Galaxy S10 Plus is having a hard time, and that was largely my experience. I had an instance where the phone was restarted randomly, but I didn’t notice any stuttering or layers with the device. In benchmarks, the Samsung Galaxy S10 Plus beat the competition and beat virtually any Qualcomm Snapdragon 845 device on the market. We have also done the Galaxy S10 Plus through benchmark tests using Geekbench 4, AnTuTu and 3DMark. Geekbench 4 gave the Galaxy S10 Plus a single-score score of 3,484. For comparison: the OnePlus 6T scored 2.368 and the Galaxy S9 scored 2.144. It also achieved a multi-core score of 10,902, while the OnePlus 6T scored 8,843, and the Galaxy S9 scored 8,116. The Galaxy S10 Plus scored 5,608 in 3DMark, while the OnePlus 6T and Galaxy S9 scored 4,697 and 4,672 respectively. In the end, the Galaxy S10 Plus scored 359,817 in AnTuTu, compared to the 292,266 of the OnePlus 6T and the 266,559 of the S9. 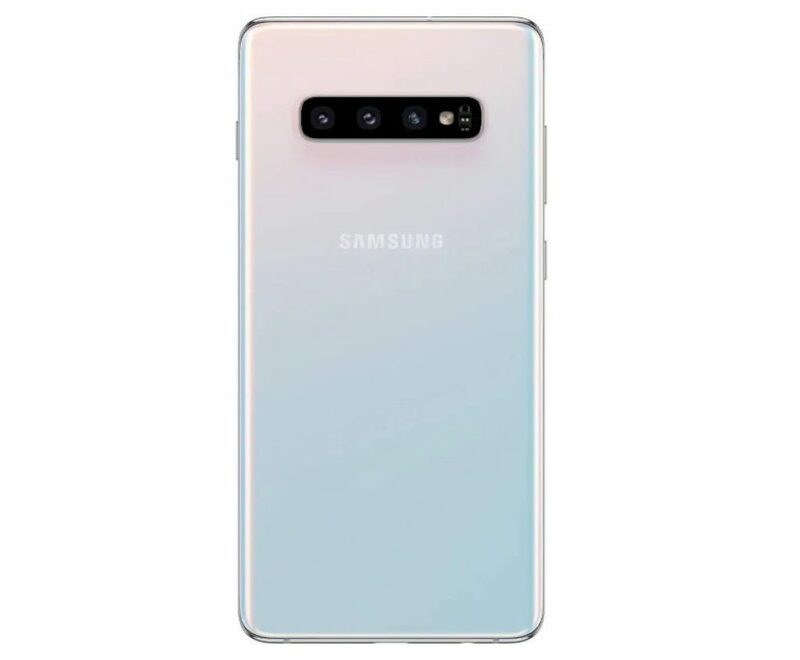 The Samsung Galaxy S10 is the first Galaxy S device with an array with three cameras on the back of the phone. With a 16MP wide-angle lens, a 12 MP standard lens and a 12 MP 2x telephoto lens, you can easily capture exactly what you need when shooting from the device. These lenses gave me a lot of versatility during my time with the device, but the quality falls short. Color from the Galaxy S10 camera is more muted than that of previous Galaxy devices, which in the past are too lively and saturated. 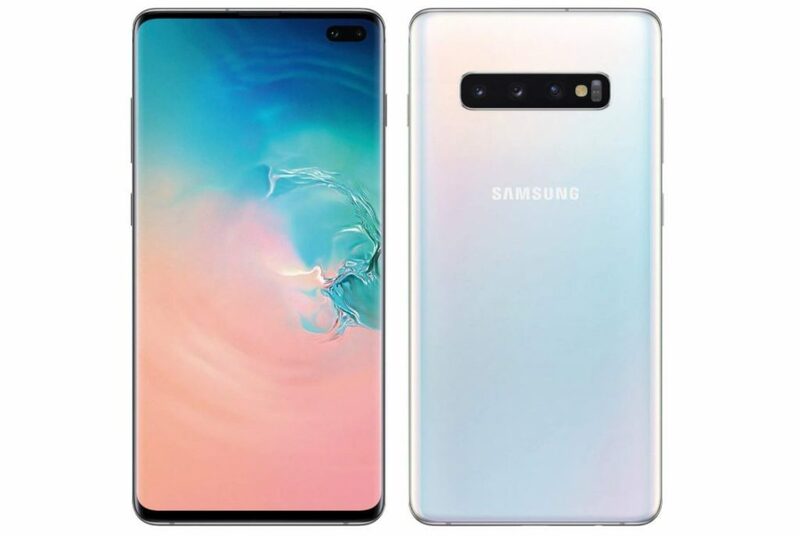 I like the change in the colors of the device and it seems that Samsung is making a note from Google on the color profile. The dynamic range also seems to have increased, but especially in black and shade. Highlights still stand out easily, and it seems that Samsung adjusted post-processing to be more aggressive in dark areas, rather than really updating the lens system. This is not shocking, given that the company hardly spoke about photography during the launch event, where the camera owned the stage with the Samsung Galaxy S9 a year earlier. The wide-angle lens is probably the most fun and versatile lens on this phone, so you can capture much more in your scene than with a standard camera. It is so wide that I accidentally got my index finger on the photo a few times. Although this was a bit annoying, it reveals how wide the scene is captured with this lens. The most annoying part of the wide-angle lens was the distortion. Wide-angle lenses will often protrude in the center and pinch the sides, which is usually corrected in software processing. There is a setting in the camera app to be more aggressive in correcting this distortion, but I thought it went way too far on the other side, which led to photos that pinched in the center and bent over the edges. Although the focal length of this lens offers a new world of pleasure, I would like to see Samsung address this issue in a software update soon. In general, I found all three cameras a bit soft, mostly due to over-smoothing. I assume this is due to an overly aggressive noise suppression algorithm that has lost details in almost every scene. Even in extremely well-lit situations, I found images soft. For a phone from $ 999 I would have liked more attention to be paid to the image quality. On the front of the Galaxy S10 Plus, you will find two cameras – a 10MP main sensor and an 8MP depth sensor. In the selfie mode, you have two options, a wide mode, and a standard mode. Logic would tell you that one of the cameras is a wide-angle lens and a standard, but that’s not the case. Because the 8MP camera is only suitable for depth perception and portrait mode, the 10 MP lens is just closed when you are in standard mode. The crop is not very important to maintain quality, so there is not much difference between the standard and the wide modes. If you hope to get a Pixel 3 level of width in this camera, you will be disappointed. In general, the Galaxy S10 Plus cameras are great. Unfortunately, they have to be the best in their class if they justify the $ 999 baseline price tag. It is clear that the cameras are important. I have spoken with a number of other reviewers who were not impressed by the camera quality, so I can only assume that this is the first thing Samsung is focusing on in the next round of software updates. If Samsung can improve the performance of the camera, the value proposition of the Galaxy S10 will increase considerably. The battery life on the Galaxy S10 Plus is nothing short of fantastic. On average, I worked on the screen for between six and eight hours with fairly frequent use (after all, phone calls are my job) and I never had an empty battery before the end of the day. In fact, most mornings I would wake up with a healthy 30 percent or so, after using it the entire previous day, but I don’t have to recharge until around 11 am. Although we have not conducted in-depth tests regarding the loading speed, it does seem a bit faster than the comparable function of the Huawei Mate 20 Pro. Stay tuned for much more on the Galaxy S10 Plus battery as we send it to our test lab and objectively determine how it compares to the competition. In my opinion, the Samsung Galaxy S10 Plus is the best phone the company has ever made. The device cooks the ethos of the company in a single handset, clearly distinct from a sea of lookalikes. Its uncompromising feature set will satisfy almost every power user, and additional bells and whistles such as Wireless Powershare and the Infinity-O-punch hole display will make these devices futuristic. I love almost everything about the Galaxy S10 Plus, but the camera really disappointed me. It is one of the most important smartphone functions for many consumers, so hopefully, Samsung will update the software soon. If this succeeds, the Galaxy S10 Plus is a much better competitor with other thousands of dollars, especially the iPhone XS Max. And that ends our Samsung Galaxy S10 Plus Review. Are you buying this phone? Let us know your thoughts in the comments box below.